Assembled by each couple, these baskets full of their favorite things are truly one-of-a-kind. 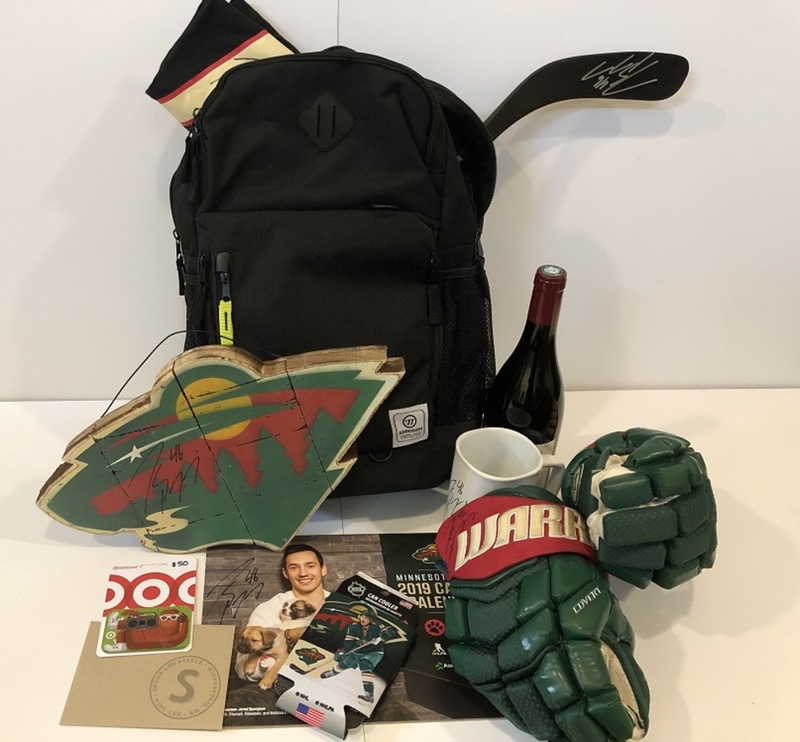 Jared & Danielle's basket includes: a $50 Target gift card, a $75 Spoon and Stable gift card, a bottle of red wine, an autographed Wild calendar, an autographed mini-stick, an autographed Wild t-shirt (size large), an autographed coffee mug, an autographed decorative wooden sign, a pair of autographed game-used gloves, and a black Warrior backpack. Proceeds benefit Women's Advocates, a local domestic abuse shelter.